BMW Motorrad announced today that it would introduce its new 2019 models to the Irish public for the first time at the Carole Nash Irish Motorbike and Scooter Show at the RDS in Dublin, which runs from 1st-3rd March. Amongst the 14 BMW bikes going on display are three brand new versions of the most popular BMW Motorrad R range, including the new R 1250 GSA, R 1250 RT, and R 1250 RS – Adventure, Touring, and Sports Touring bikes respectively. The new R 1250 models for 2019 represent a significant update to its global best-selling R 1200 models with extra standard features, modernised styling and upgraded powertrain. For more than 25 years the BMW boxer engine has been at the forefront of this class of bikes. In 2019, all the R 1250 range will be powered by the updated new 1254cc ShiftCam engine with an increased power output of 136 bhp at 7750rpm and 143 Nm of torque. This advanced ShiftCam technology not only boosts power, but also reduces emissions and improves fuel economy making the bikes more refined and smoother, especially in lower rev ranges. Across the range, the bikes will come with two riding modes as standard, ASC, and Hill Start Control, along with the 6.5-inch full-colour TFT display for full connectivity, heated grips, chrome exhaust, six-speed gearbox and tyre pressure monitoring. 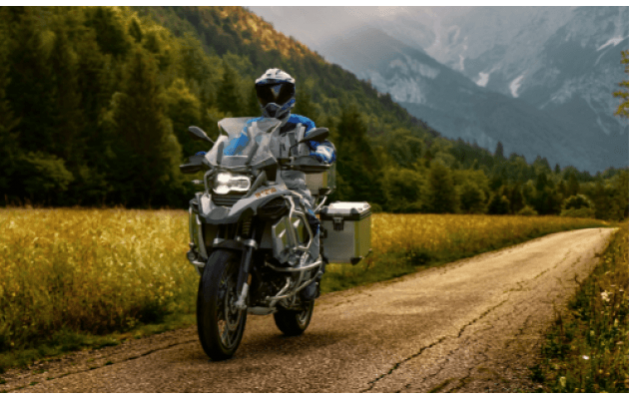 The R 1250 GS Adventure has additional riding modes ‘Enduro’ and ‘Enduro Pro’ and come with a 30-litre fuel tank to reflect its touring pedigree and expected longer distance to be travelled. The 1250 RT has a 25l tank and RS has a 18-litre fuel tank capacity. The R 1250 bikes have many optional extras on offer depending on the chosen model, such as ‘Riding Modes Pro’ featuring additional riding modes, Dynamic Traction Control DTC, ABS Pro, Hill Start Control Pro and the all new Dynamic Brake Assistant DBC. The optional electronic suspension called the Dynamic ESA has also been updated to make the ride smoother no matter what type of terrain the bike is tackling. Steve Pitt, BMW Motorrad Ireland’s motorcycle manager, said: “We have a large number of new bikes coming to the show this year and I have no doubt that the R 1250 range on their own will be a major draw for visitors to the show. As an added attraction I want to let the public know that we will also feature a host of incredible upgrades across all our models which will be on display over the weekend of the show. As well as the R 1250 models, BMW Motorrad will be displaying, amongst others, their new C 400, a fun and enjoyable maxi-scooter. With the TFT display and BMW Motorrad connectivity, you can listen to your music, stay in touch with friends and family without having to dismount. This light and agile scooter has a host of other features that makes this a great place to start your two-wheeled urban commute experience. Another bike that will be on display is the S 1000 RR, BMW Motorrad’s flagship sport bike. With new BMW ShiftCam Technology, more horsepower, slicker electronics, updated suspension Flex Frame, HP Shift Assistant Pro, six-axis sensor cluster (IMU), ABS Pro and Dynamic Traction Control, a 6.5-inch TFT screen, and much more, this is an additional incentive to visit the BMW stand at the show. The Irish Motorbike and Scooter Show returns to the RDS in Dublin this March 1st – 3rd and is once again sponsored by Carole Nash. 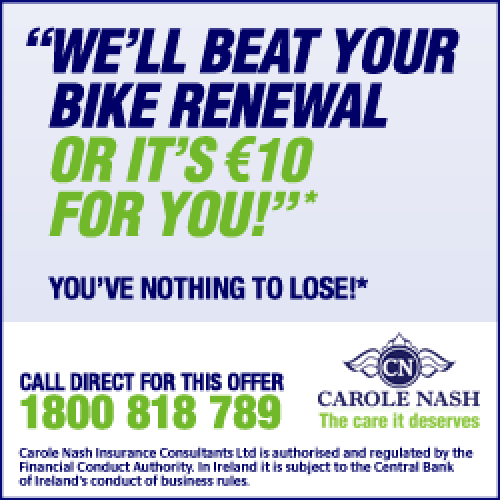 Rebecca Donohue, head of marketing at Carole Nash, said: “Carole Nash have been a part of the Irish Motorcycling scene for 20 years and sponsoring the show is our way of saying thanks to our customers and the biking community.